It’s tragic how I had my first Yorkshire Pudding only when I came to London some months back. It was about the size of my palm, and carried a scoopful of lovely roast beef, white onions and gravy. Definitely love at first bite. I always thought they were difficult to make until I came across Jamie’s Oliver’s Mini Yorkies recipe. Literally, a piece of cake. 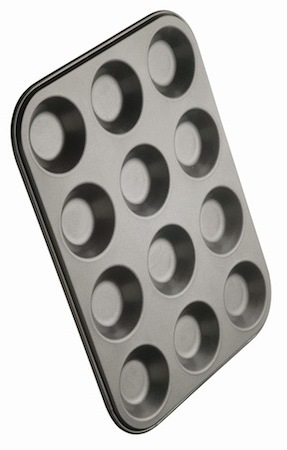 Into a shallow 12-hole muffin tray, liberally drizzle olive oil in one swift motion, from hole to hole without stopping. Stick into the oven and preheat to 180°C on the top rack. While that’s in there, prepare your pudding mix. It’s real similar to pancakes, so pay attention. Get the ingredients in a big bowl and mix away, till smooth. When the oil’s all hot (and maybe bubbly), get the tray out. Then, with the pudding mix, fill each hole to about half, give or take. At this stage, you’d be horrified to see the rings of oil surrounding the pudding mixture. Don’t worry, it beats using butter, hands down. (The amount should be just about right for 12 holes. Work out everything else in between.) Don’t take too long or the tray will cool down. Chuck it back into the oven for about 15 minutes. 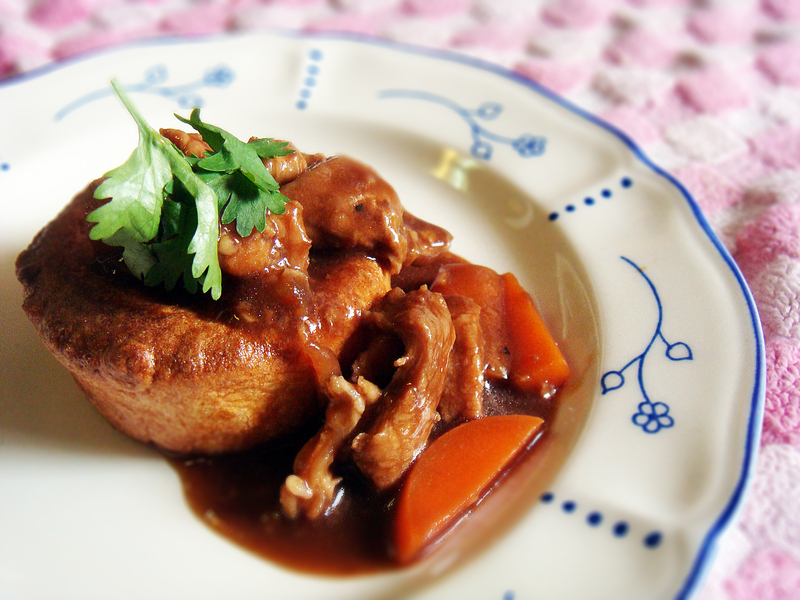 In the meantime, you can prepare a beef gravy or whatever you fancy in a yorkshire pudding. Personally, I think yorkies were created to caress beef. Keep an eye on them yorkies and you’ll see that they rise beautifully at the sides first, forming a little well of goodness. Done till golden. Brilliant. It’s plain physics, or so Sarah explains. 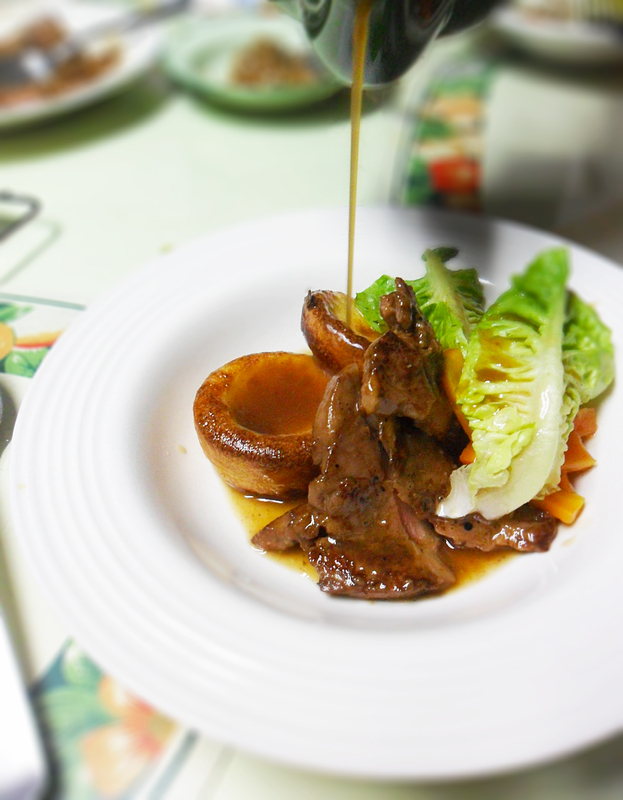 If you forget to preheat the tray and oil till hot, the sides won’t rise. I had this with a pork belly stew. More on that here. a slice of tomato, as the base. beef mince, marinated the way I like, with thyme and sage. half rings of white onion. 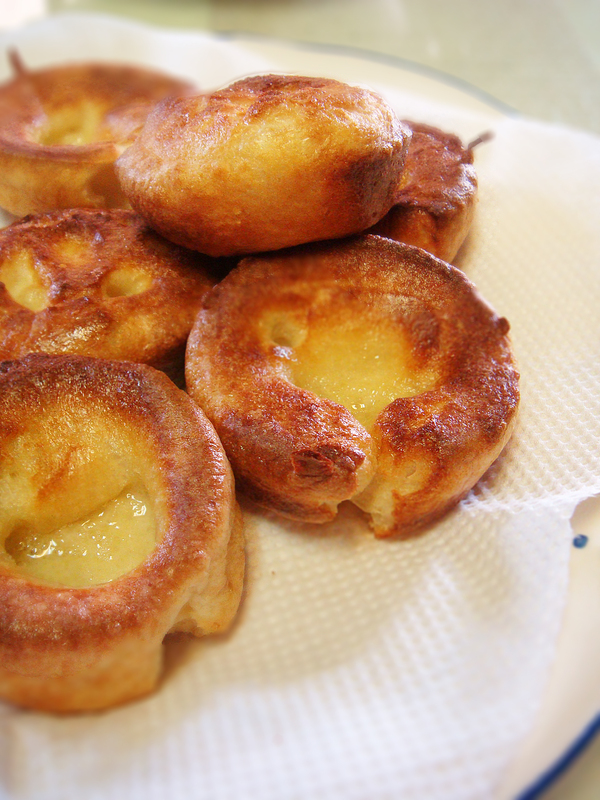 When the toppings were ready, on a chopping board, I plopped them onto the individual yorkies. Then, top off finally with a couple of leaves of arugula and a sprinkle of paprika. 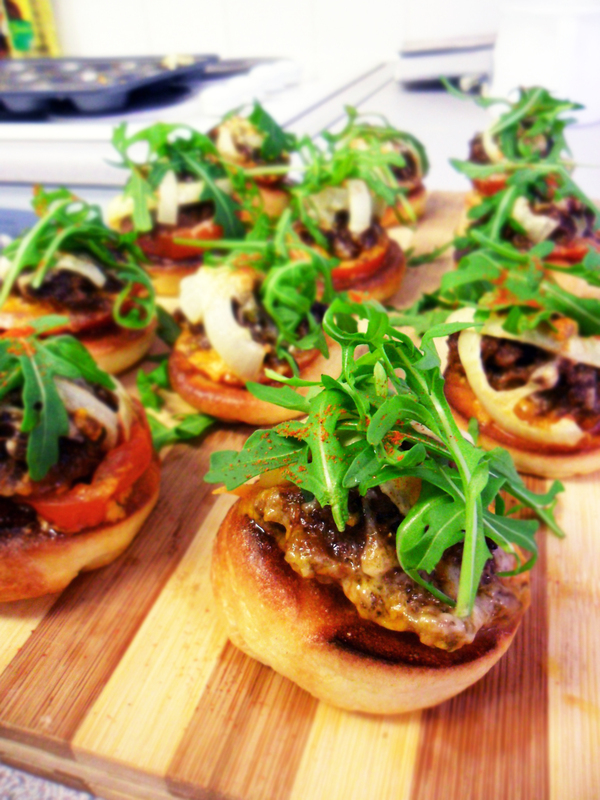 This entry was posted on Friday, September 2nd, 2011 at 03:43	and tagged with Asian, Beef, Belly, Bruschetta, Cheddar, Cheese, Gravy, Mini, Pork, Puddings, Snack, Tips, Tricks, Yorkies, Yorkshire and posted in Asian, Beef, Pork, Snack, Tips and Tricks. You can follow any responses to this entry through the RSS 2.0 feed.